Winemaking: in stainless steel vats, the stemming is total and we do a pre-fermentation maceration for 2 days. The fermentation is controlled at temperature of 25°C. 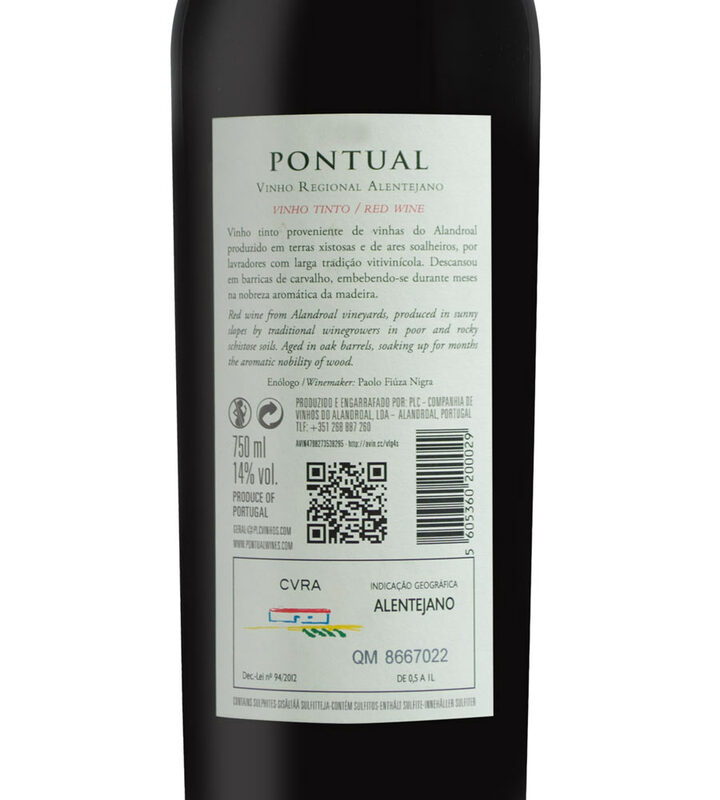 PLC – Companhia de Vinhos do Alandroal (Alandroal Wine Company) was formed in 2000 by Paolo Nigra Fiuza, Luis Bulão Martins and Carlos Portas. The initials of each name then given to the project, PLC. On the slightly wavy plains of the Alentejo, between Portalegre and Alandroal, the team gathers 100 hectares of vineyards. Planted on schist soils where the grape varieties from the region and others help the production of high quality wines. 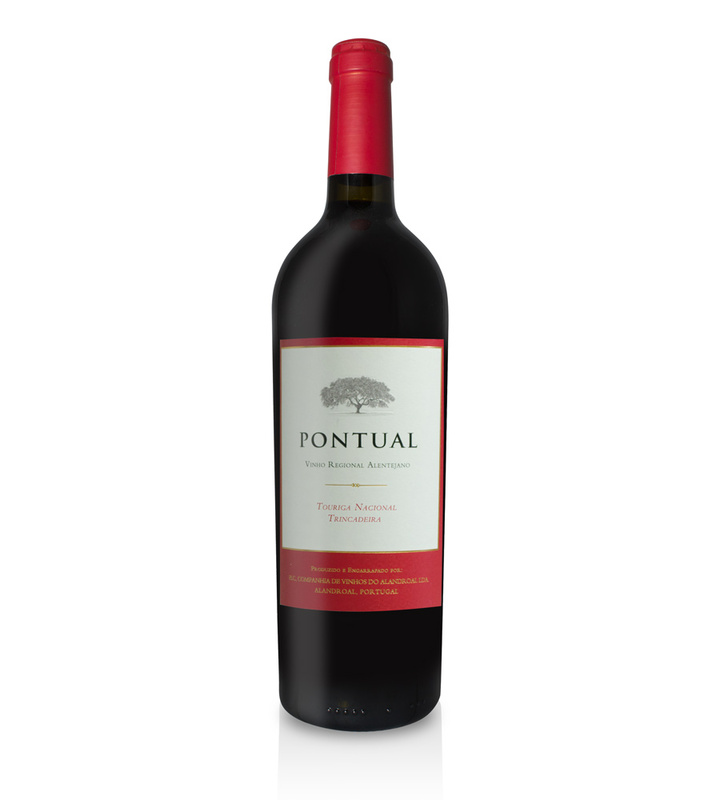 PLC , bottled its first wine in 2001, Pontual Touriga Nacional & Trincadeira. In the following years PLC has also launched Pontual Syrah, Pontual Reserva, Pontual White, Colheita and a new range of wines, Desigual, white and red. Vineyards: 100 hectares of vineyards between Alandroal and Portalegre, the lands where the vineyards grow and the variety of grapes were carefully chosen, aiming to enhance the quality of the grapes and wines. The type of soil where the vineyards grow is Schist. Winemaking: We believe that the production of quality wines begins in the vineyard. Through a careful selection of grapes, taking into account their “health” status and stage of maturity. During the harvest the grapes in the cellar are handled with all the care necessary to preserve all its quality and potential. The white wine is made in stainless steel tanks, with total stemming, pressing at low pressures and low quantities, settling between 7 and 10 ° C. The fermentation is controlled at low temperatures, between 13 ° C and 15 ° C until it finishes. The red winemaking is done in stainless steel vats, the stemming is total and we do a pre-fermentation maceration for 1 to 2 days. The fermentation (Alcoholic) is controlled at temperature of 25 ° C. The aging of the wine is made in barrels of American oak or French oak depending on the grape variety and wine.